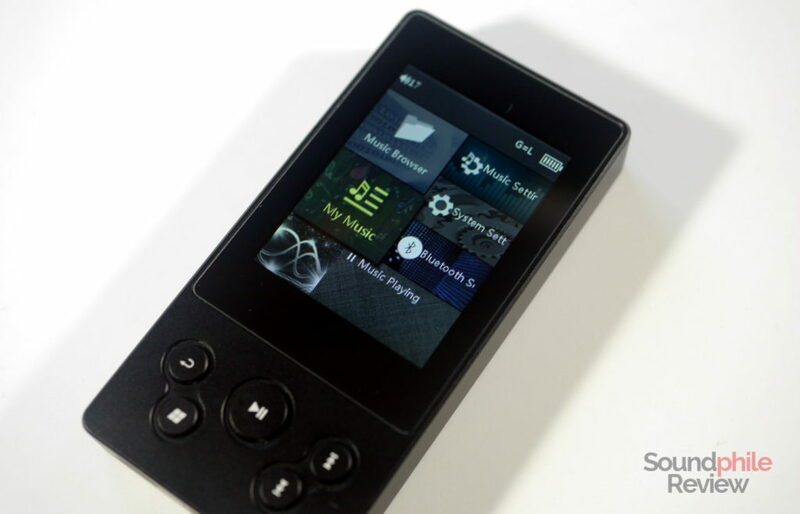 xDuoo recently introduced a refresh of their line of portable music players, which brought about a complete renewal of design and the introduction of colour hi-res screens. The xDuoo X3-II sits at the bottom of the line and is the most basic device, despite having fairly advanced features for a player in this category. 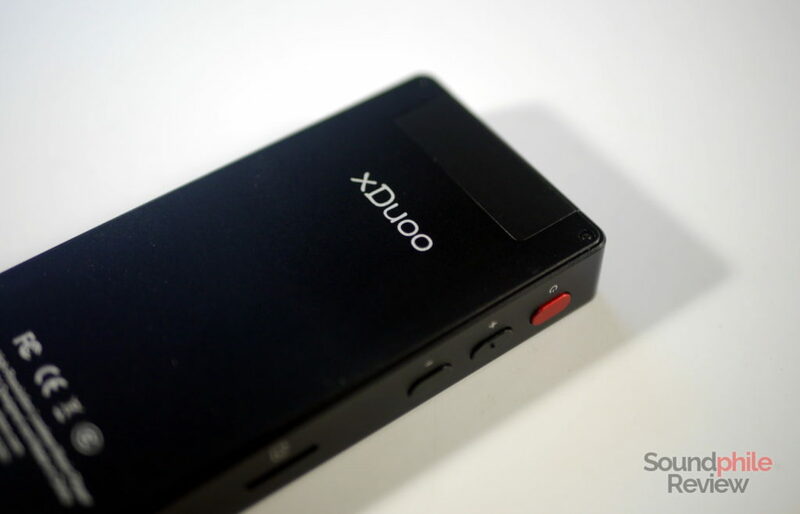 At roughly $100, the xDuoo X3-II is satisfying on all fronts, without significant shortcomings. Disclaimer: this sample was provided free of charge by Linsoul. They sell the xDuoo X3-II on Amazon and AliExpress at ~$120. The xDuoo X3-II departs completely from the previous generation’s design language and introduces a more modern (and attractive) design. The front is split between a large colour LCD screen and a set of physical buttons, while the left side hosts the power button, two volume buttons and the microSD slot. The headphone out, line out and USB Type-C ports are all located on the bottom. The body is entirely made of aluminium, with the exception of a cutout on the back that allows Bluetooth to work (as a body made just of aluminium would be a perfect Faraday cage…). Even the buttons are made of aluminium! The xDuoo X3-II is really well built for a device in the sub-$200 range. Every component fits perfectly in and assembly is done well. 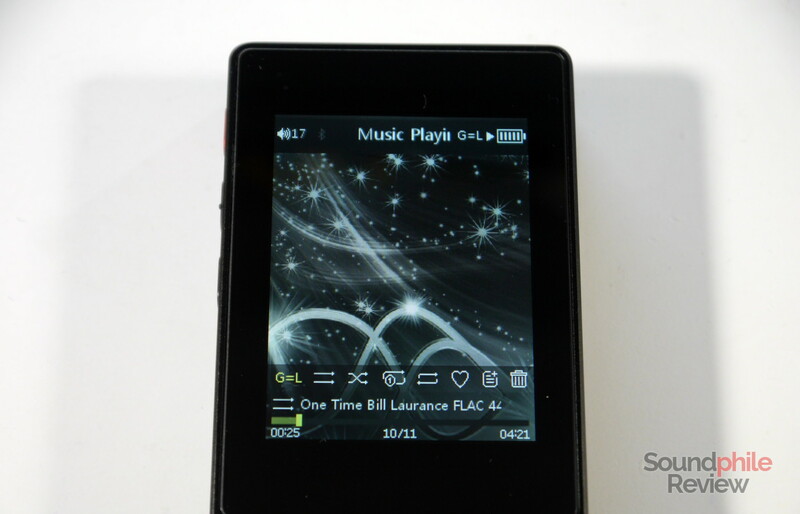 At 114 g, the player is definitely light and is barely noticeable while tucked in a pocket; its size of 102.5 x 51.5 x 14.9 mm make it thicker than most of today’s smartphones, but way smaller in general. The power button is coloured red to better distinguish it from the others, while the “vol +” button has a small raised circle that allows you to locate it just with your fingertips. The buttons on the front do not use the same technique and instead rely on size to be distinguishable: the play/pause button in the middle is larger than the others, that are placed so as to be easily found by the fingertip. On the left are the back and menu buttons, while on the right are the “previous” and “next” buttons (with the “previous” button being on top, for whatever reason). 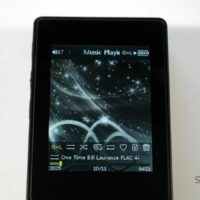 The screen is not as large or as good-looking as that of touchscreen products such as the Hidizs AP200, but it’s still large enough to allow easy usage of the device. It is a 2.4-inches panel with decent colours and good brightness; even when outdoors it never felt like its brightness was not sufficient (though I could only test it during winter). 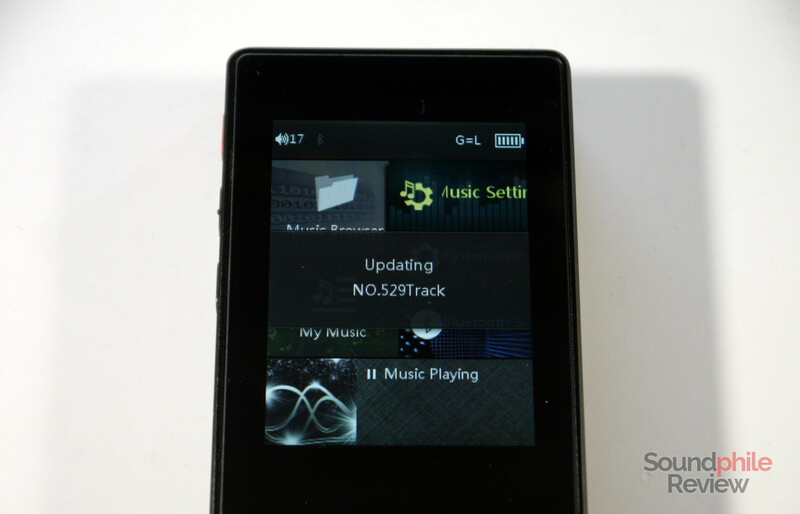 It is more than enough for an entry-level device such as the xDuoo X3-II. Above the screen, in the top-left corner, there is an LED that lights up when the device is powered on. 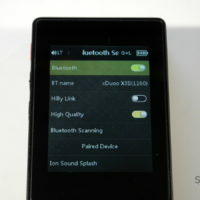 It is inactive while the screen is on, so it is useful to tell if the xDuoo X3-II is on without actually turning it on. 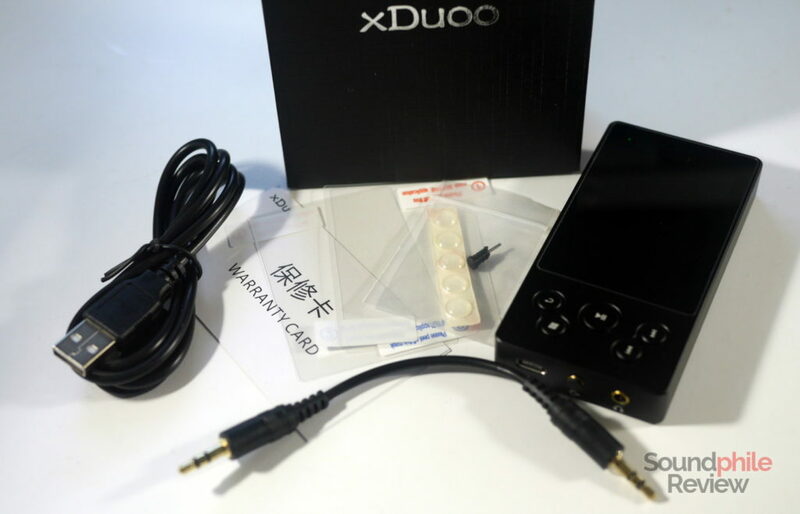 It seems like xDuoo did a good job with the X3-II on the build quality front: the DAP appears solid, mostly thanks to the use of a single block of aluminium that was machined to get the final shape of the device (but then the back is held in place using screws). As I already mentioned, I don’t have any complaints about assembly, nor about materials – they both are more typical of higher-tier devices. 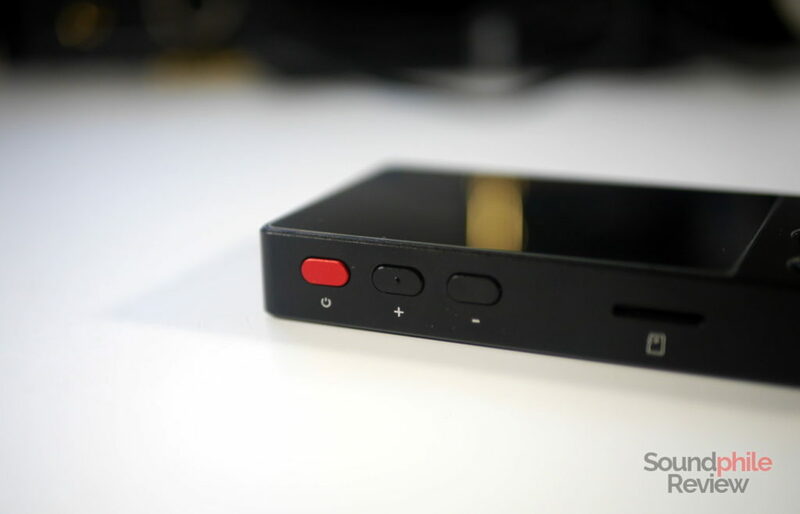 The xDuoo X3-II supports Bluetooth 4.0 and the aptX and aptX HD codecs. 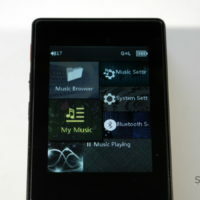 This makes it a good source for Bluetooth devices as the codecs allow for decent audio quality and are widely supported. The connection is stable and allows usage of Bluetooth headphones or speakers without any issue, even in areas with heavy interference due to the number of devices (i.e. lots of WiFi networks and devices). 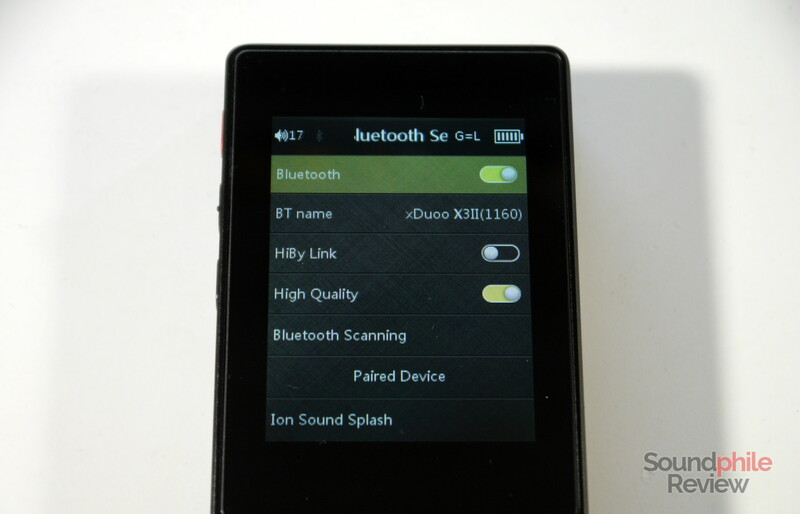 An interesting feature is the Bluetooth receiver mode: the xDuoo X3-II acts as a Bluetooth receiver that can drive headphones with signal coming from an external source – say, your phone or computer – so it basically acts as a Bluetooth DAC. It also supports the HiBy Link feature, so that you can control playback from your phone with the dedicated application. What I find surprising is the support for DSD, which is really uncommon in this price range. The microSD slot supports cards up to 256 GB, which means that only relatively few DSD files can be loaded (but lots of standard-res FLACs can be stored on a single card). There is no support for balanced audio, but I do not deem this a big loss. There is, however, a dedicated line out port which can be used when powering an external amplifier or when connecting the X3-II to a speaker (e.g. 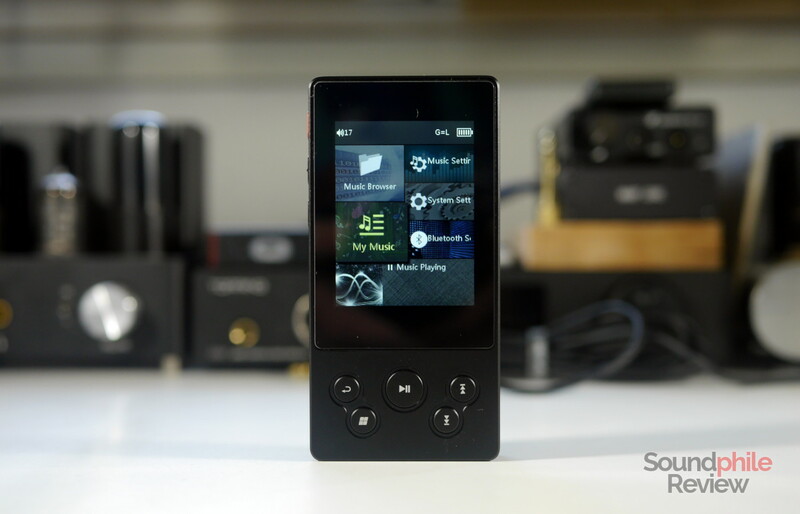 the IK Multimedia iLoud Micro Monitor). 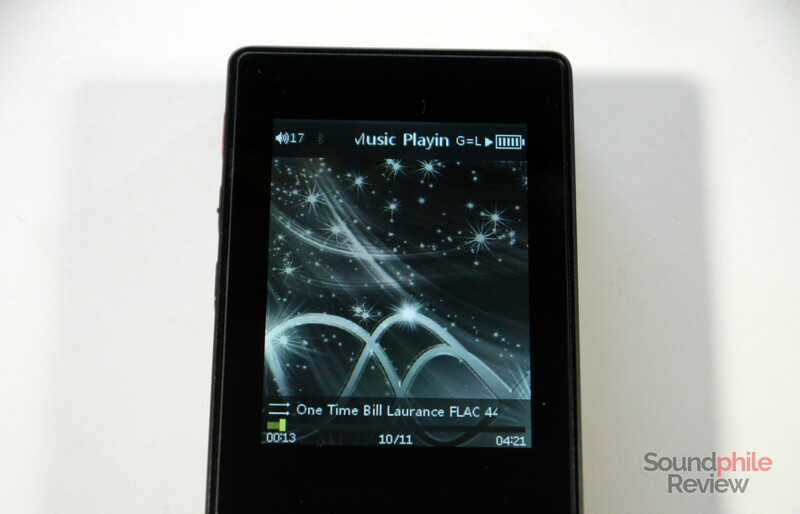 xDuoo claims the X3-II can reach up to 13 hours of usage, but my estimate is that it only gets about 10 hours of music playback (using standard resolution FLACs). This is still a good result, as the xDuoo X3-II is able to provide music for an entire day without the need to charge it. It is perfectly in line with most other products of the same kind in this price range. There is no warning about the battery being almost empty and the only way to tell is looking at the screen, as it lights up when the time is running out. A warning of some kind – a beep, or some other kind of audio cue – would have been appreciated. xDuoo opted for the HiBy platform – that company now seems to hold a monopoly over the software of Chinese DAPs. 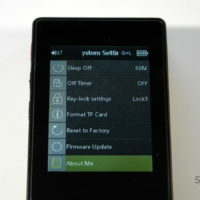 Luckily, though, this is not their Android implementation (that made the Hidizs AP200 and the Cayin N5ii way buggier than what should be acceptable), but instead a Linux platform. It seems pretty solid, intuitive and fast, although translation often leaves a lot to be desired. Looking at the whole picture, though, it’s a solid platform with no showstopping bugs or broken features, though it has its share of flaws and limitations. A bar on top shows the volume level, gain, playback status (i.e. play or pause) and battery charge left. 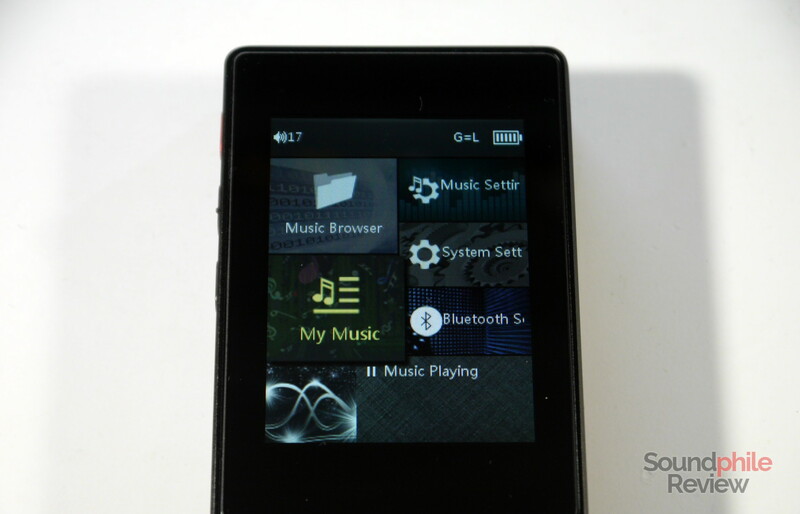 The main screen shows a few different options: music browser (a file system-based explorer), my music (a library of tracks indexed by artist, album, etc), music settings (that are about playback), system settings, Bluetooth settings and a shortcut to the “now playing” screen. 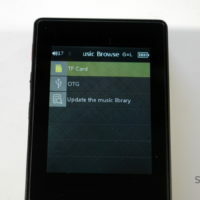 The music browser allows exploring both the microSD card and any storage device connected to the USB Type-C port, so one could theoretically transfer music even from an Android phone. The “my music” library is indexed by album, artist, genre, favourites, playlist and recently played. The main issue with the “my music” library, and with every other long list of elements, is that there is no way to rapidly scroll through the list (of artists or tracks, in this case), so managing large libraries can become quite tedious. In my case, with some 6500 tracks by a few hundred artists, searching the list becomes almost impossible. The task is so cumbersome the only solution I found is using the file system-based approach: I divide the music files by artist, and then create folders for each letter to have quick access to the different letters and therefore to artists that are far from each other in the alphabet. That’s a workaround, as no quick and easy solution exists as far as I know. In this sense, the implementation on the Aune M1s is much more clever, as it has a paginated approach and allows skipping between pages using left and right controls. Speaking of large libraries, indexing my library takes upwards of five minutes – which is quite a long time even by lower-end DAP standards. The “now playing” screen is poorly informative: album art takes most of the space leaving everything else to be shown on a single line as sliding text. This design flaw is not, however, major, and it just requires a bit of patience and getting used to it. Displaying the information in an overlay laying over the album art would have surely been better. It may seem paradoxical, but the home screennis more informative! Navigation through the various screens is easy: the play/pause button is also used to select items, while holding the back button returns to the home screen (and pressing it while in the home screen returns to the “now playing” screen). Lyrics: displays lyrics if available. By default, the player holds no memory of the last track played before shutting down: in order to make it remember the track one has to enable the option in the settings, by selecting either “location” or “track” under “breakpoint play”. The language is far from being clear, but the former option allows to resume playing from the exact moment when playback stopped and the latter only remembers the track (but not the second). 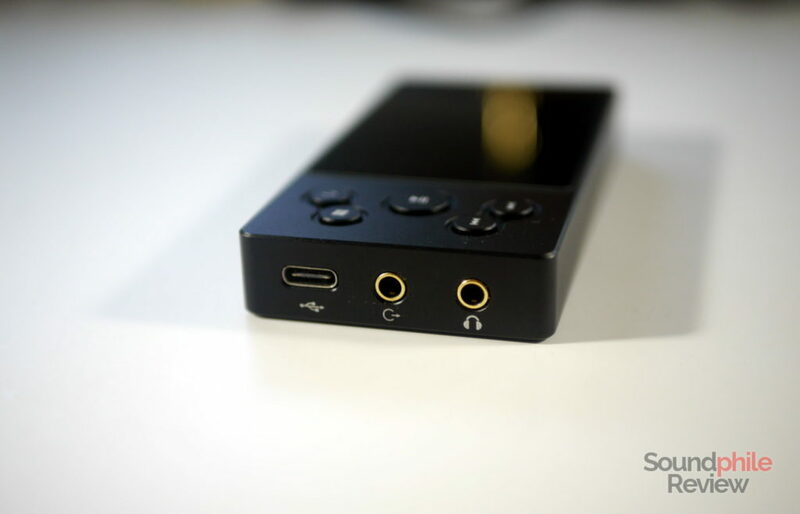 The xDuoo X3-II works quite well as a DAC when connected to a PC: I could not only use it to listen to music, but also to watch video content and even game without noticing any significant lag or any other issue that would otherwise ruin the experience – all while keeping good sound quality. Using Linux there was no need to install additional drivers and that should be true for macOS as well, while Windows might require additional drivers (I currently do not have a Windows setup to check it). I used the following headphones to test the xDuoo X3-II: BGVP DM6, Tenhz P4 Pro, Shozy x Neo CP, KZ ZSN, BQEYZ BQ3, AKG K7XX, Venture Electronics Zen 2.0 Omega Edition and Sennheiser HD 6XX. I also used an iFi IEMatch. All files were stored on a 200 GB SanDisk microSD card and were mostly standard-res FLACs. 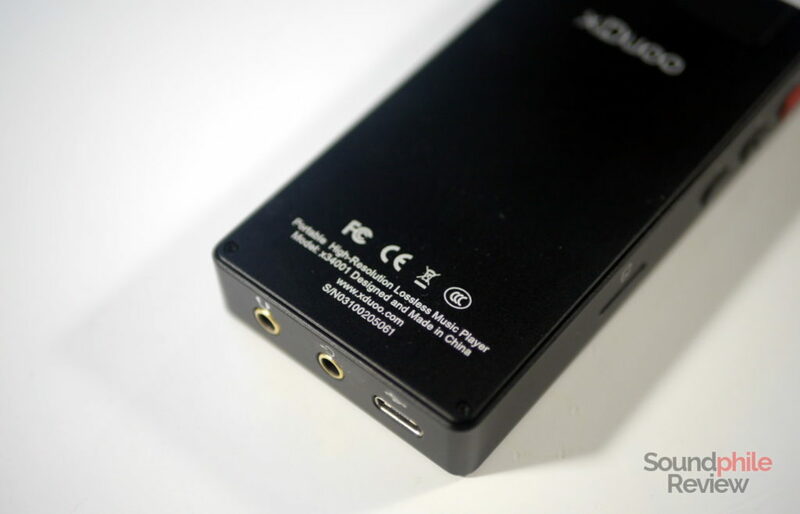 Despite being battery-powered, a fact which should theoretically lead to clean power and no noise, the xDuoo X3-II is in fact plagued by lots of background noise that is especially noticeable when using sensitive earphones. The noise is intense enough to require the use of an attenuator such as the iFi Ear Buddy when using sensitive earphones. Despite being a solid-state device, which should leave out any kind of colouration, I find the xDuoo X3-II to have a slightly warm tonality. I guess that may all be placebo effect or another psychological effect, but when I compare the X3-II against the Aune M1s I can hear the former being slightly slower and a bit warmer. It is slower in that using the same earphones, the sound appears less accurate around transients, that tend to be less immediate and deliver less feeling of impact (less physicality, if you wish). The signature appears a bit warmer as the lower end seems to be a tad more prominent, and I guess the inferior speed may also play a role in this. All in all, however, the xDuoo X3-II is remarkably accurate, with the rest of the spectrum being correctly represented without much to note regarding tuning. It’s as good as can be and it’s really hard to find any faults to it, especially since the price point is on the lower side. The xDuoo X3-II has enough power to drive even relatively demanding headphones such as the Sennheiser HD 6XX and the Zen 2.0 to satisfying volume levels without much effect on the frequency response. The xDuoo X3-II is nothing less than a surprise. It’s a complete device both on the acoustic and the feature fronts. 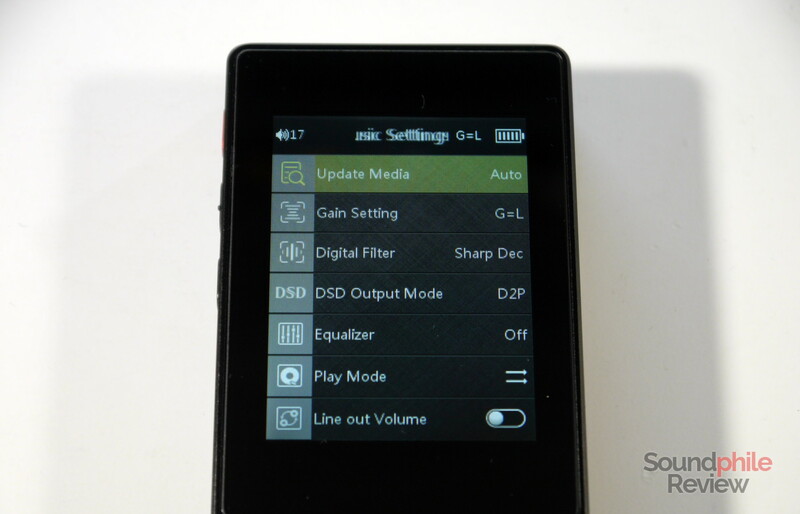 On the latter front, it offers many “advanced” features such as the ability to use it as a DAC, to read USB OTG drives or to read DSD files – something that’s a bit of a rarity in the sub-$200 price range. On the former, the xDuoo X3-II appears as a compelling unit with a warmish tuning that’s still accurate and pretty much neutral. 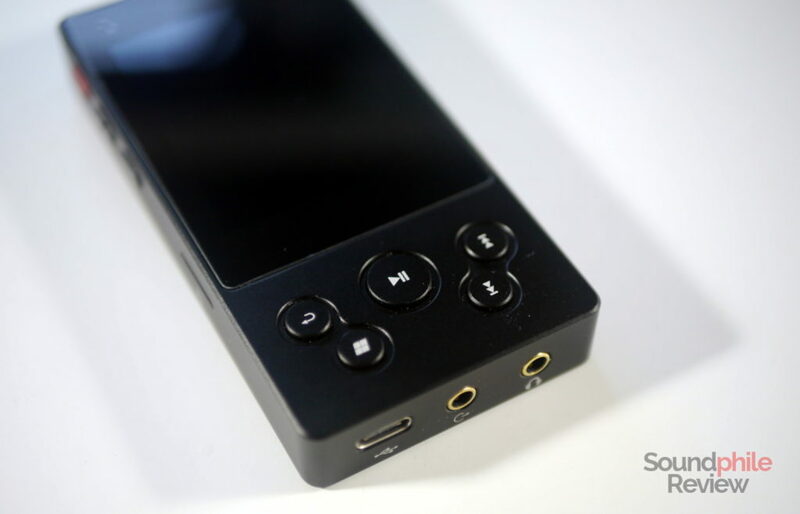 It has enough power to drive even demanding headphones, though it won’t be able to power the most power-hungry cans. The only significant flaw is the background hiss that’s apparent with low-impedance, high-sensitivity IEMs. 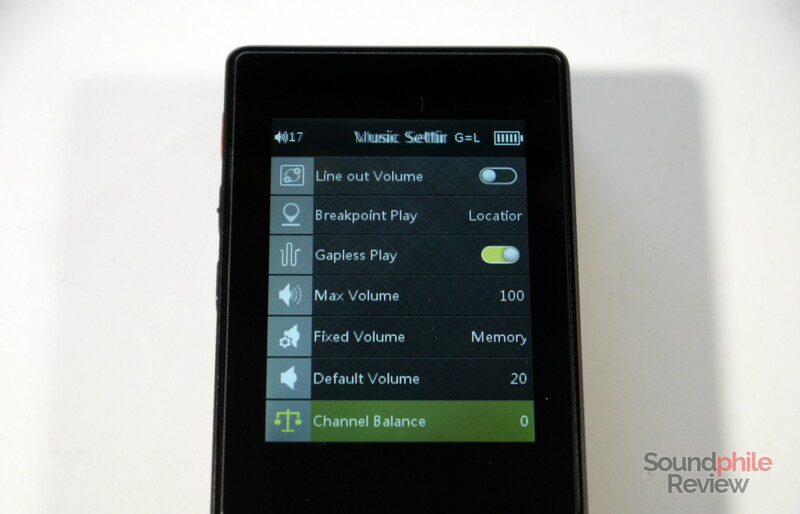 If you’re on the hunt for a portable music player with all the bells and whistles but without the hefty price tags those usually implicate, the xDuoo X3-II is a truly valid option. It’s one I will keep on using as a reference in the future, so that’s how much I liked it – and you will probably like it, too. When you compare it with m1s, the former seems to be less accurate. You mean xduoo x3ii less accurate and bit warmer than m1s?? Yes: “the former” refers to the xDuoo X3-II in that context. 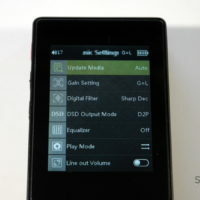 This also can be used as purely a digital transport connected to an external DAC via the USB port. At half the price of the companies own X20Tii. But output signal may not be as good as the X20Tii. Correction: Xduoo transport is the X10Tii not the X20Tii. You’re right, but the X10T II also has coax, optical and AES connections which the X3-II lacks.